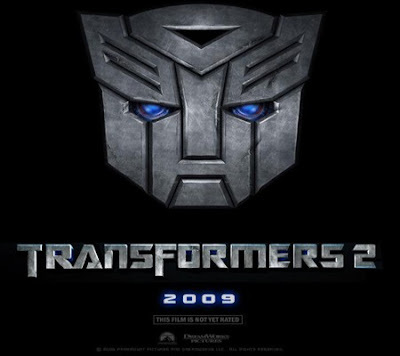 I went to see Transformers 2 on Imax. The movie was good, not great or exceptional. Megan Fox was super hot as always, few of the dialogues were shiteous and once you get the storyline, the movie becomes previsible. Did I also mention that it was too long. I swear few people were SNORING during the movie. I still can't believe they were sleeping. How can you sleep in an Imax screening while the chairs are shaking and your ear-drums are about to burst?? Even if Transformers is making tons of millions, Terminator 4 and Star Trek were better! I still have yet to see it. I've heard the same thing from other people too. But the negative parts of the movie are what makes me want to go see it even more. Lol. Hi LazyKing! I've heard it wasn't that great either, very long and loud. Ebert even wrote "A horrible experience of unbearable length".....at first I thought he was talking about the Obama Presidency...tee hee. Well, I might see it when it goes to $5.oo cheapo ticket. Now, what I'm really looking forward to is Public Enemies on July 1st...Wed. yipee I'm off that day, and I want to find "The Hurt Locker"
As much as I'd love to see it on the big screen, I'm gonna wait for it to go on home video. I wanna make the money I spent on my home theatre system worth every penny, nickel, dime I spent on it. lol! i tried to watch it last night. But i couldn't really! Owww such a boring movie. And consider there ain't a Megan factor for us!